Why is Haskris focused on custom designs? The one-word answer: RELIABILITY. It's an industry fact. Off-the-shelf chillers are inherently mismatched to the application they serve and, therefore, are prone to fail prematurely. Haskris systems are designed to meet the unique requirements of both the application and end user environment. Our tailored approach leads to optimal performance of your equipment and exceptionally high reliability in ours. The Haskris MTBF (mean time between failure) rating is well beyond our competitors. Need a customized chiller? Click here to contact DVL about Haskris. 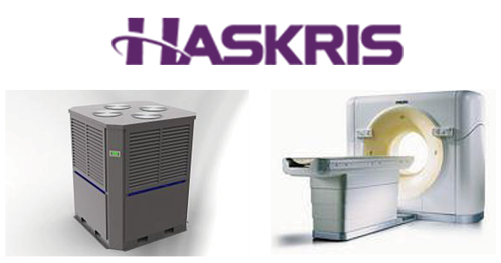 Do you service high availability chillers (Liebert, Filtrine, others) for critical applications such as MRIs?